Looking for the best apps to keep up with the craziness of social media this year? These are the best! In this day and age, it’s hard to escape social media—it’s literally all around us. And since we all have phones, it’s incredibly hard to just disconnect from it all. When a new social network pops up, a lot of us also migrate over, or at least try it out for a bit and then come back to what we know and are used to. Regardless, there are quite a few options out there on the App Store if you want to get social, so we’ve rounded up some of the best options for you. Time to be a social butterfly! 9 What are your favorite social media apps? This is the behemoth of social networks, and pretty much everyone and their mother (literally) uses it. With the official Facebook app, you’ll gain access to your News Feed, where you can view the updates of friends and family, as well as any Pages and Groups you follow. Links open up in the built-in browser, and you can make any edits to your profile and pages on-the-go from here. It’s the quintessential app, though it may drain your battery throughout the day (you’ve been warned). Why Facebook decided to remove access to your messages from the official app is a mystery that we’re all still trying to solve. But still, if you chat with your Facebook friend often, then Messenger is a must-have. 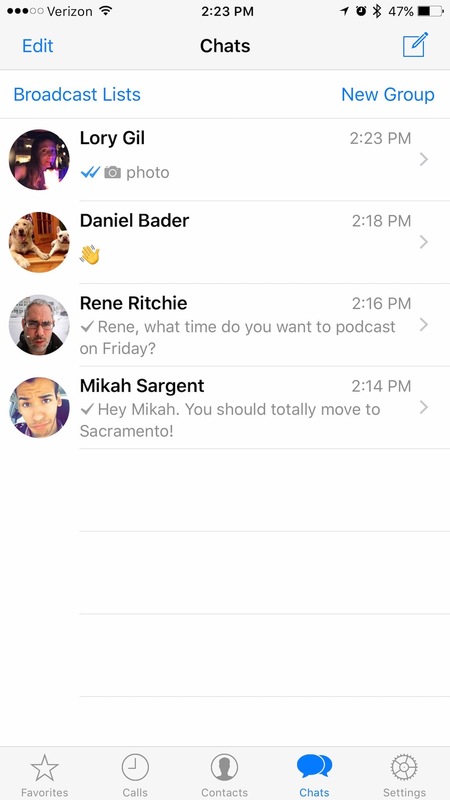 The app lets you send messages to your friends or create group chats, and it’s also a way to reach out to businesses directly. Messenger also includes access to stickers, GIFs, voice and video calls, and you can even pay people directly through Messenger. Tweetbot is one of the best third-party apps for Twitter. It features a slick, chronological timeline of tweets from people you follow (with no sponsored tweets), and you can also create lists and use them as curated timelines if the main timeline is too cluttered. Tweetbot’s support for mute filters through keywords or regular expressions is also unparalleled, so you don’t see things you don’t care about in your feed. The latest update to Tweetbot also added some major cool new features, such as GIF support right in the timeline, an optimized dark theme for OLED displays, auto video playback in the timeline, and much more. If you don’t want to pay for Tweetbot but don’t like the official Twitter app either, then another good alternative is Twitterrific. You’ll get chronological timelines with no ads, support for lists, mute filters for keywords and phrases, and plenty of customization options, like theming. Twitterrific also has multi-image support, and it’s available on both your iPhone and iPad. Plus, it’s free, with a tip jar if you choose to support the developers. For those who prefer to socialize through visuals, Instagram is the place to be. You can post your photos (up to 10 at a time) to share with the world, or even go with Instagram Stories, which let your friends see what you’ve been up to without cluttering up your profile. As you follow people, their posts populate your feed, and you can double-tap to “like” items, and leave comments. If the person posts in another language, the translate button does a pretty good job of converting it into your language. Instagram also does a great job of showing content that’s relevant to your likes and interests and discovering new content from all over. Socializing doesn’t always have to be with everyone at once. 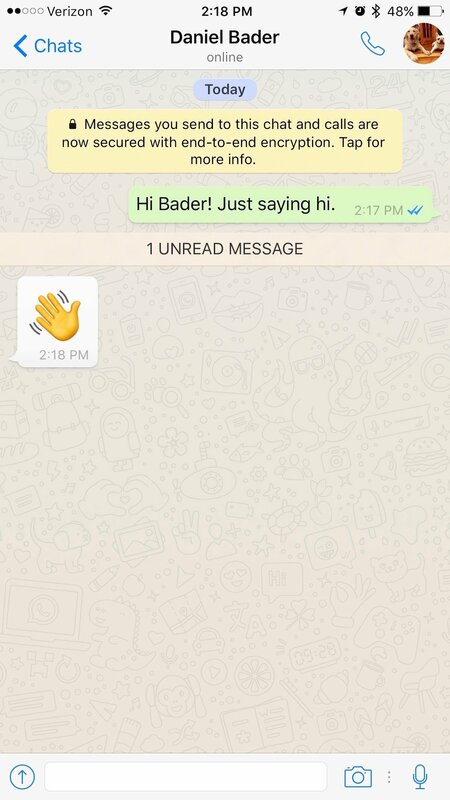 WhatsApp lets you communicate with others individually, and all that’s needed is WhatsApp. With WhatsApp, you can send messages, make voice and video calls, share multimedia files, participate in group chats, and much more with just an Internet connection. The biggest reason to use WhatsApp is if you have friends who live in other countries or continents. Since it just works over a data connection, you have no international fees to worry about, and you’re always connected. And if you’re away, messages are saved and ready to be viewed next time you’re on. One of the most popular social networks with the younger crowd right now is Snapchat. With Snapchat, you can capture life’s best moments as they happen. There are a ton of fun effects and even special promo lenses to use to spruce up your selfie or photo as well. And with a lot of brands on the network, there’s unique content that you won’t find elsewhere, and it’s even a place to get your news, believe it or not. Everything you post on Snapchat stays for 24 hours before it’s deleted, but remember that people can screenshot what you post, so be mindful! Another popular social network is Tumblr. It’s technically a microblogging site, but it looks and feels more like a network. 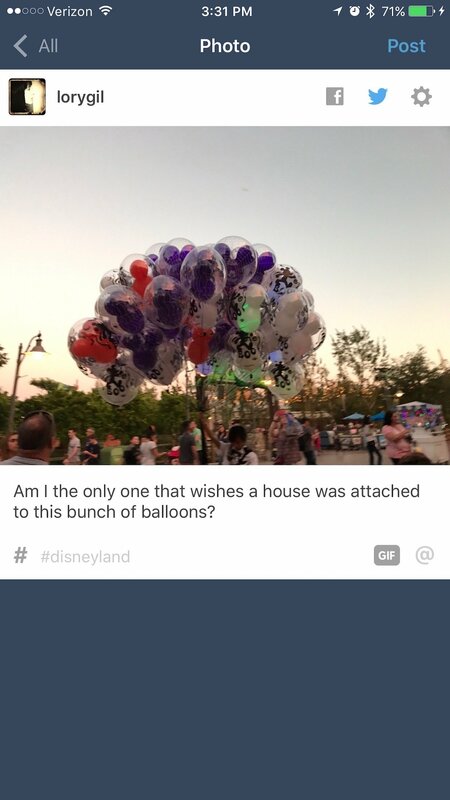 You can find other Tumblr users who post things you like or are interested in, and “reblogging” their content on your feed (with credit) is super easy. 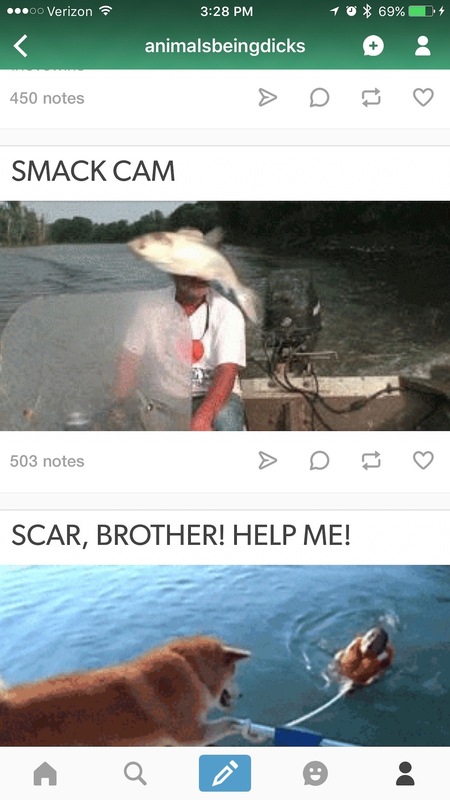 The Tumblr app lets you post pretty much any text or media you want, with the ability to create your own GIFs. It’s geared more for the younger crowd, but you can pretty much find anything you want on Tumblr, regardless of age. There are a ton of options out there for accessing your favorite social networks, but these are just a handful of our favorites and what’s popular these days. What are you currently using for social media? Let us know in the comments!